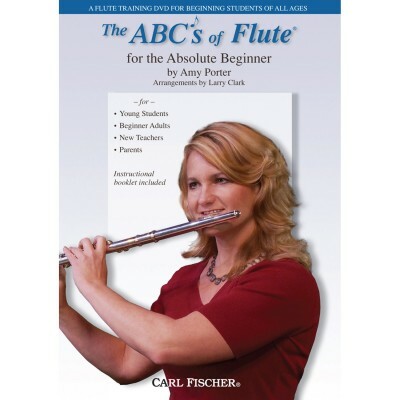 The ABCs of Flute for the Absolute Beginner is a comprehensive beginning study guide to playing the flute with information about breathing, embouchure, hand position, air direction and caring for your instrument. This DVD also features songs with up to six notes, and has an added bonus section that continues the education into the upper and lower octaves. 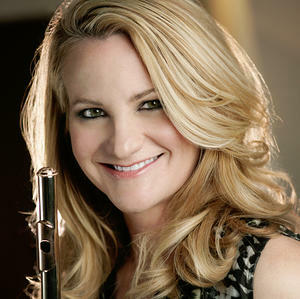 Learn without leaving the comfort of your own home from three-time international prize winning flutist Amy Porter, as she performs the featured tunes with piano accompaniments arranged by Larry Clark. This DVD includes a booklet to give you all the printed music you will need to follow along with the lessons.